SÃO PAULO, BRAZIL – Stocks sold off on Friday. Kibbitzers blamed the fear of a trade war. …and now… a phony trade war, too! Yes, Dear Reader… we bomb, strafe, and bully our way from the Levant to Detroit and all places between. The cost: maybe $6 trillion… maybe $10 trillion. And maybe a million dead people. I’ve spotted it before in one hundred twenty-nine 100%+ gainers. It just re-emerged, which means that tomorrow, you have a short window of time to potentially make the biggest, fastest gain of your life. But at least the Middle East wars have been a great success. We know because we took a drive through Northern Virginia… where the gleaming new towers for military suppliers… and the proud new McMansions of the generals… prove it. They wanted power and money; the wars were a way to get it. Meanwhile, anti-poverty forces have been pounding the poorer areas of America for the last 54 years. We know the war on poverty has been a great success, too. Just look at West Baltimore. Bombed-out houses… burnt-out stores… bummed-out people – Mission Accomplished! And the war on drugs deserves its victory parade, too. 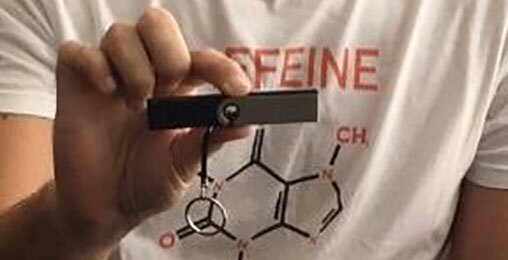 But now… they’re mostly legal drugs! Ones the drug industry can make a profit on! Yes, war is the health of the state, as the writer Randolph Bourne put it. Especially a phony war. And the American government is in the pink… gathering money and power to itself. Too bad about the American people. Here at the Diary, we will make a bold prediction. We hardly stick our neck out when we guess that the Trade War will be every bit as successful as the other wars; it will continue the sordid trend, ripping off the public to reward insiders and cronies. The people lose. The swamp wins. 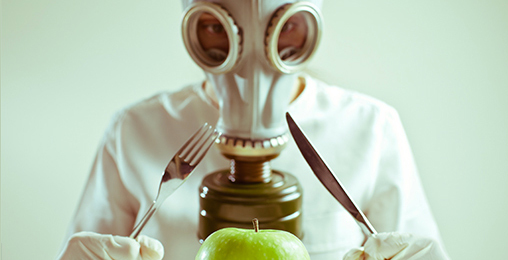 A new breakthrough could disrupt the entire GMO industry… sending select stocks higher starting November 15th. Phony wars are scripted and staged. Like professional wraslin’, they’re intended to amuse the fans… and take their money. It’s too bad the elite political commentators don’t watch the WWE; it, more than the Constitution or the Declaration of Independence, could help them understand the government as it really is. Professional wrestling is a gaudy, fantastic world… with cartoonish characters, such as Gorgeous George, Haystacks Calhoun, Hulk Hogan, “Stone Cold” Steve Austin, Paul Bearer, Ric Flair, The Iron Sheik, and two who will figure later in our story – The Undertaker and Mankind, aka Mick Foley. These performers are trained at camps, learning to do the maneuvers that wow audiences without seriously injuring each other. The camps are a bit like the training camps for gladiators who fought each other during the Roman era. Those combats, too, were staged for the spectators… and intended to shift wealth from fans to owners, operators, and officials. The bestiarius fought animals. The dimachaerus fought with a sword in each hand. The retiarius used a net to snare his opponent. In the Colosseum, of course, gladiators fought for their lives. In the WWE, they fight for money. And fame. But wait. Even phony wars have casualties. The actors miss their cues. Someone puts live ammunition in their guns. They forget to tell the soldiers that it is all supposed to be fake. Bogus battles, scripted wars, make-believe skirmishes – sometimes, something goes wrong… and then, things blow up. And sometimes, the pressure is just too much. Mr. Perfect, Crash Holly, Malice, “Ravishing” Rick Rude, and many other WWE stars died young. This phony trade war has the potential to blow up, too, big time. Over the next few days, we’ll explore why that is so. The history of civilization… and of wealth creation… is largely a boom and bust pattern. The booms were marked by expanding trade; the busts happened when trade shrank. Looked at through our own proprietary prism, we see that the good times were those that allowed win-win deals to happen. The bad times were marked by win-lose deals, funny money, and war. The Pax Romana, a relatively peaceful time in the early days of the Roman Empire, for example, allowed free-flowing trade across Europe, the Near East, and North Africa. Citizens were relatively prosperous… and safe. Then came the Crisis of the Third Century, brought on by… guess what… dumb wars! The Roman feds ran short of money. They had to debase the denarius (inflate the currency) to pay the soldiers. Under Augustus, the denarius had been 95% silver. By the third century, the silver content was less than one half of one percent. The empire fell in 476 AD, when the barbarians imposed their own win-lose deals, leaving Rome in even worse shape than the feds left West Baltimore in. In the following Dark Ages, it became difficult to travel. Trade collapsed. People retreated into walled towns for safety, where they lived in misery and poverty, relying on a local warlord for their lives and livelihoods. It took more than 1,000 years for the prosperity of the Roman era to return. It did so when win-win deals once again became possible. After the Hundred Years’ War, kingdoms congealed… and new empires – notably, the Holy Roman Empire – took shape. Of course, there were major setbacks. Typically, wars not only killed people and destroyed property, they also sent merchants scurrying for safety, reducing trade and increasing poverty. The 19th century, after the Napoleonic Wars, was a long period of relative peace and growing prosperity. The big exception was the War Between the States, which, again, led to inflation and death, with a large portion of Americans’ output devoted to killing each other. Otherwise, the century was a big success. Money was gold; and it was good money. Property rights were generally respected. The British Empire and its former colony, the U.S., created a huge area of, more or less, free trade. This came to an end in 1914… with a period of war and trade contraction that lasted until 1945. That was followed by another big episode of expansion… especially after China joined the world economy in 1979 and Russia followed suit in 1989. This new era was described by political economist Francis Fukuyama as the “End of History.” What more was there to fight about? 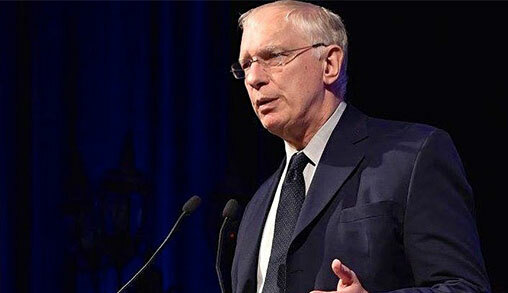 Western commercial civilization had won, with its dollar, its democracy, and its commitment to peace and free trade. But it wasn’t the end of history, was it? Instead… history was just cleaning its weapons… preparing for another assault on the decency, prosperity, and integrity of civilized life. The Cold War may have been over… but there was still plenty of mischief the politicians and warmongers could get up to. Tomorrow… “Hell in the Cell”… why the expansion of 1979–2018 was doomed from the get-go… why it was largely counterfeit… and how this new trade war might blow it to bits. 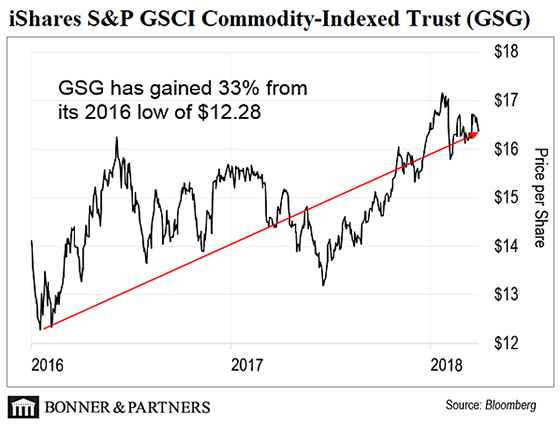 Today’s chart tracks the iShares S&P GSCI Commodity-Indexed Trust (GSG) – which holds a broad basket of commodities futures contracts – from 2016 to today. As you can see, GSG hit a low of $12.28 in January 2016. It has since risen 33%. However, GSG still fell short of the gains from the S&P 500, which climbed 38% during the same time. As Bill has regularly reported in these pages, the world’s “One Percent” have gotten exponentially richer while the working man has largely been left behind. And the chasm is about to get wider. According to one report, the world’s richest 1% will own two-thirds of the world’s wealth by 2030. Have Investors Turned on Trump? Even with recent falls, U.S. stocks are still up 22% since the president’s election. But the good times could be ending. Here’s why Wall Street may have turned its back on Trump. Investors are on edge as stocks whiplash up and down. Chris Mayer, one of Bill’s top analysts, understands that these are difficult times. He shares a few steps to bulletproof your portfolio for the volatility yet to come. Again, this morning, we were blessed to enjoy the ramblings of one Ed D. who seems to be another indignant Republican that believes Bill’s amusing takes on Donald Trump mean that he loves the Democrats. His concern seems to be that Bill had nothing to say during Obama’s reign of economic terror, wondering if he was instead spending his time in Ecuador. Maybe this is a new reader of these pages, or, quite possibly, one of many who seem to have short memories. But regardless of Bill’s point on the map during the community rabble-rouser’s time in the White House, he spent plenty of time taking potshots at Barack and his band of fiscal know-nothings. As has continued to be his policy, Bill never discriminates, pointing out the crimes and failures of both wings of the Big Government Party in equal doses. 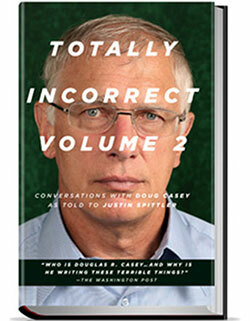 Casey Research founder Doug Casey just released a follow-up to his 2013 book, Totally Incorrect. Doug calls it Totally Incorrect, Volume Two. And the name says it all. Doug gives his unique take on everything from genderless babies… to the modern space race… and the NFL protests. In today’s politically correct world, this book would likely be banned from bookstores. But you can get your own copy right here.